This was really exciting project. I did a poster design/illustration for Steve Aoki’s concert at Sasquatch Music Festival. I came up with a Japanese influenced – almost a modern twist of Ukiyo-e – wood block print because of his Japanese heritage and an aggressive image to capture his music. Some of the geometric shapes also match his electro sound feel. 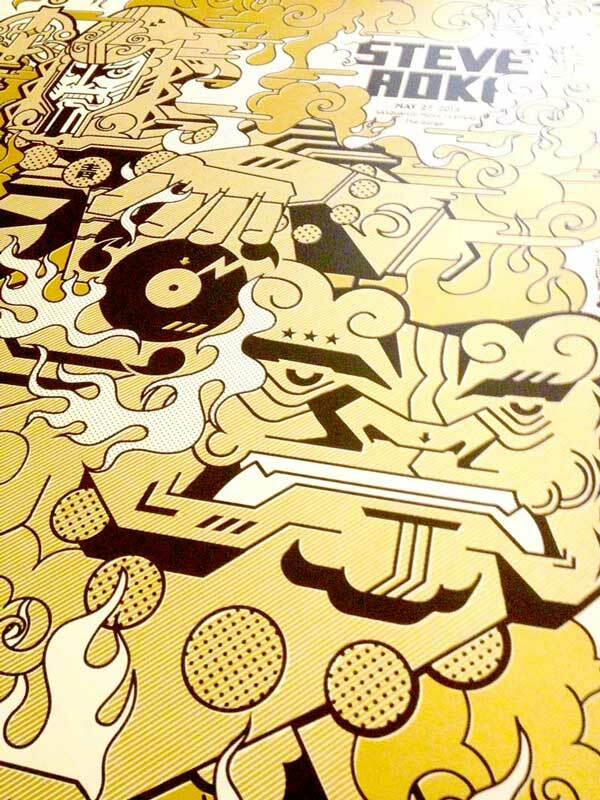 The poster will be printed as a 2 color screen print with black and gold ink.